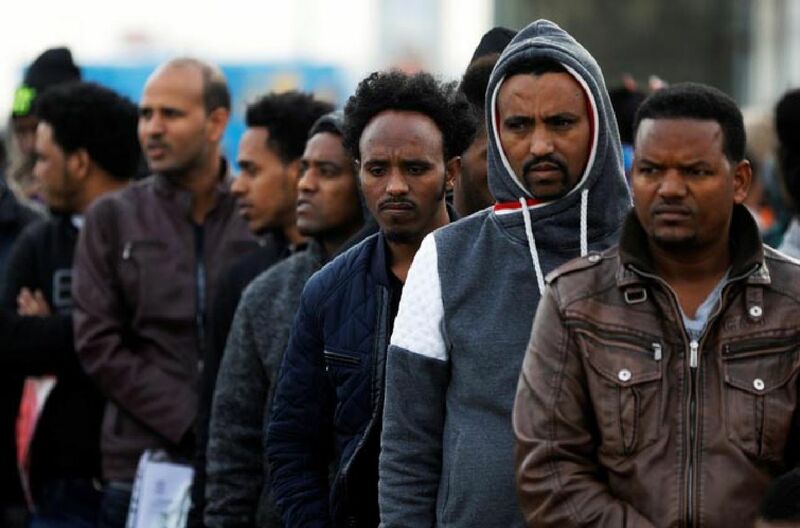 (LOS ANGELES, CA, - 3/4/2018) The Israeli government has began ordering about 40,000 African migrants to leave the country or face imprisonment. Thousands of notices were sent out last month, to refugees from war-torn Sudan and Eritreat. This has prompted international outcry and dozens of Holocaust survivors to urge the government to abandon its plans. The State of Israel's track record on human rights has been questioned frequently. At a United Nations convening in January, the South African delegate argued that “Israel is the only state in the world that can be called an apartheid state” for continuing its human rights abuses against Palestinians. Traditionally, Members of Congress have shied away from criticizing Israel, but things are changing. Today, they are calling into questions Israeli policies more frequently -- from the demolition of Palestinian homes to the constitutionality of legislation that criminalizes the Boycott, Divestment, Sanctions (BDS) movement. On February 1, the Israeli Supreme Court approved the immediate demolition of property in the Palestinian village of Susya -- leaving dozens of Palestinians homeless. Rep. Betty McCollum (D-MN) introduced a House bill on Tuesday that seeks to prohibit U.S. tax dollars from funding the detention and prosecution of Palestinian children in the Israeli military court system. The legislation is said to be the first time a bill on Palestinian human rights has ever been introduced to Congress. Defence of Children International (DCI), one of the main supporters of the bill, released a statement under its “No Way to Treat a Child” Campaign, calling for support of the bill. “Israel has the dubious distinction of being the only country in the world that automatically and systematically prosecutes children in military courts that lack fundamental fair trial rights and protections,” the statement reads, adding that Israel prosecutes between 500 and 700 Palestinian children in military courts each year. According to data from Israel’s military courts obtained by Israeli daily Haartez in 2011, 99.74 of all military court hearings end in convictions. The Muslim Public Affairs Council (MPAC) is asking Muslim-Americans to urge their Member of Congress to sponsor and support Congresswoman McCollum’s bill.